Learn more about how helicopters benefit can the utility industry in Florida. Optimize your transmission line operations, with a simple solution to even the toughest transmission undertaking. Transform any transmission line placement or installation into an opportunity, when you take to the skies by helicopter. A FairLifts affiliate chopper can easily accomplish your transmission task in record time, thanks to industry professionals who aim to add your challenge to experienced portfolios. Utility companies, municipalities and experienced contractors have discovered helicopter-facilitated transmission line solutions in Florida, a solution which allows them to retain focus on their respective industries. Allow helicopter pilots to do what they do best, freeing you from the hassle of complicated transmission construction anomalies. Provide yourself the aerial advantage that you deserve, to accomplish in record time what would otherwise take hours of your time. Welcome to the state with arguably the finest weather anywhere in the continental United States. Florida boasts a climate well-conducive for flight, under frequently sunny skies and characterized by mild temperatures. Ideal for helicopter flight, this southern home to hundreds of miles of sandy beaches also plays host to FairLifts affiliate helicopters of a transmission construction variety. No matter the sector of Florida in which you live, a FairLifts affiliated helicopter can reach you in no time, and can render your transmission line challenge a thing of the past. Bring a FairLifts affiliated helicopter solution to the streets of Miami, or the larger-than-life environment in Orlando. Even if you’re living in a lesser-populated region of Florida, outside of city limits, a helicopter awaits your instructions. No matter the transmission job, a helicopter is the answer your undertaking deserves. Agents can easily reserve the complete extent of these services, giving you an answer for even the toughest transmission tasks! Keep your focus on the job at hand, while a dedicated operator delivers an aircraft and hardware alike to a destination of your choosing. A FairLifts affiliate can also arrange transportation of work crews to various remote or offshore locations, as well as high altitude sites. No matter the size or the awkward shape of the load, a helicopter renders your external load and heavy lifting needs a thing of the past. Heavy lifts are executed securely and effectively, via industry-leading helicopter provisions that provide you the peace of mind you deserve. String wire from the skies with a FairLifts affiliated helicopter. Transmission construction in Florida cannot proceed without the safe stringing of wire from one location to another. 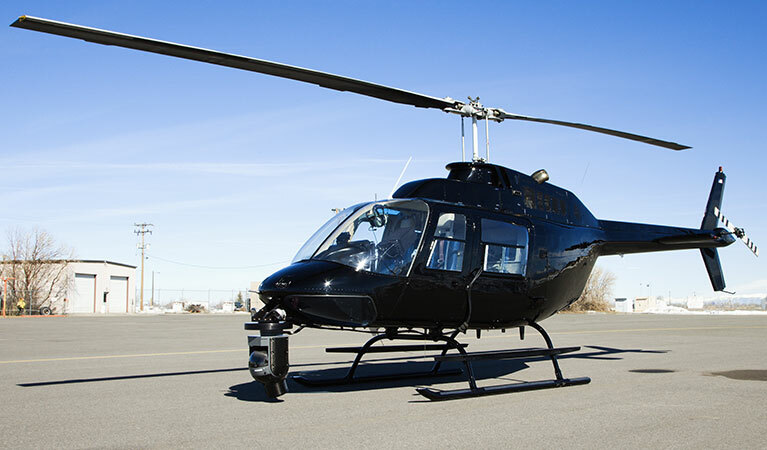 Given that these stretches often require extensive, precise operations, you can’t afford to trust anything else but a dedicated helicopter provider. Install utility poles with a speed that only a helicopter can provide. It’s your opportunity to maximize your efficiency without compromising the overalls safety of the operation, with a FairLifts affiliated chopper. Welcome to the secure, efficient solution: affordable utility pole installation by helicopter. A helicopter on site allows for smooth, expedited operations. Provide complete site inspections and ROW in record time, to continually support your ventures in perpetuity. The unique capacities of a helicopter allow for holistic operations in record time, every time. 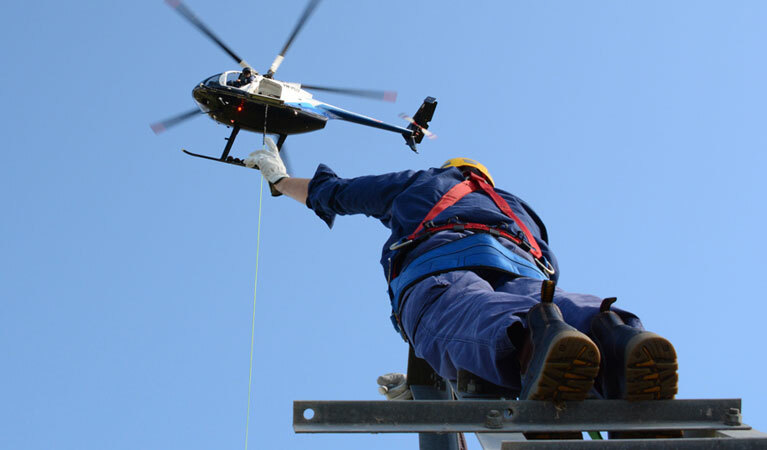 Crews can be safely and securely transported to the site of tower installations in Florida and beyond with helicopters. Not only can they deliver a number of linemen to an installation site, they can do so in remote or impassable regions and because of their capability to land and takeoff without the need for a runway, they are ideal to transport utility crews to offshore destinations and onto oil rigs. Experts are standing by to get you a fast quote for your transmission line job in Florida! FairLifts agents are available 24/7 to provide you with information regarding all of the utility installation services at your disposal via local operators. From Florida transmission line construction to the simple movement of personnel to remote or offshore locations, we can coordinate your project's helicopter applications from start to fruition. Call us any time. We’re here to assist you.